Lauren D. Fraser was born and raised in Sussex County, New Jersey, and returned to her home county soon after graduating from law school. 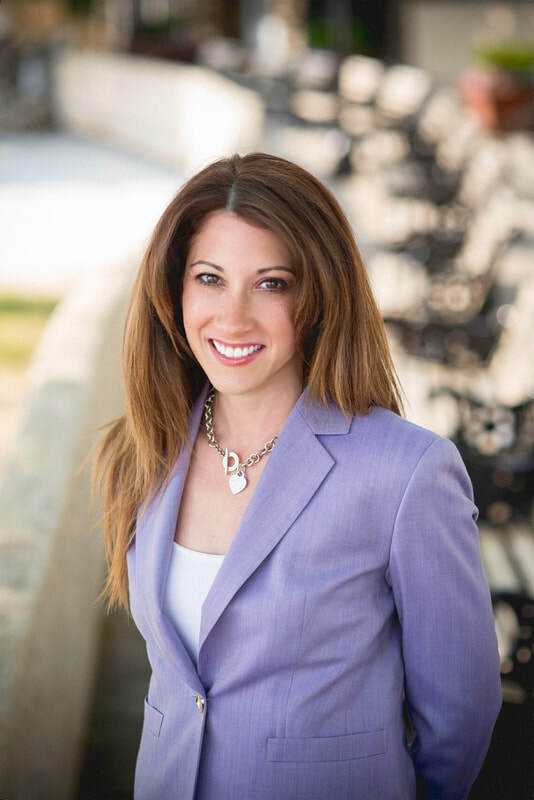 She is a nationally recognized trial attorney in New Jersey, having been recognized by the National Trial Lawyers organization as one of the top 40 attorneys under the age of 40 and Top 100 Trial Attorneys in NJ. Lauren specializes in personal injury law representing people in her community who have been seriously injured through no fault of their own. In 2009, Lauren traveled to Scotland on a family trip. Inspired by the mystical qualities of the Scottish landscape, Lauren set out to write The Trinity of Kirana young adult fantasy series. "I've written something every single day since I was about 5 years old, whether it was a story or a poem. For the past 10 years, I've written primarily for the legal community, but Trinity was a story that had been a part of me since I was a teenager. I needed to tell it and let my imagination unfurl on the page. It was not until I visited Scotland for the first time that I recognized where my story would be set, and once I determined the setting, the words flowed like the River Ness. I'm passionate about Trinity. I love the world I have created and the characters who live there." Lauren is a practicing attorney in New Jersey where she resides with her daughter, Anna. -Trial Attorney - Owner of The Fraser Firm, Attorneys at Law, LLC. -Fur Mom to cats, Henry Tudor and Brian Boitano, and dog, Sally Mae. National Trial Lawyers Top 100 NJ Trial Attorneys, New Jersey Monthly Magazine Super Lawyer List - Personal Injury Law, National Trial Lawyers Association Top 40 Attorneys under 40 (NJ), New Jersey Law Journal New Leaders of the Bar - Top 50 Attorneys under 40, New Jersey Herald "20 Under 40" Top Business Leaders. ​New Jersey State Bar Association - Trustee, Co-Chair - Auto Litigation Committee; Sussex County Bar Association -Past President; New Jersey Association for Justice - Board of Governors; American Association for Justice - Motor Vehicle Section, Brain Injury Section; New Jersey Volunteer Lawyers for the Arts; Sussex County Women's Forum, Friend2Friend Free Mammogram Program; Salt Shakers Trail Running Club. Hobbies: Writing, singing and acting, dancing, trail running, fitness, tennis. Favorite Books: The White Queen by Philippa Gregory (and her entire collection of books on the Plantagenets and Tudors), the entire Harry Potter series by JK Rowling, Player Piano by Kurt Vonnegut, Sense and Sensibility by Jane Austen, A Farewell to Arms by Ernest Hemingway.